as Elles Bailey. I have been speaking with Bailey about her incredible debut album, Wildfire, and recording in Nashville. She tells me about the video for Same Flame and what is coming up next for her - she talks about her sound and why she has released a Deluxe version of Wildfire. Critics and fans have raved about her voice and incredible sound so I ask about her influences and where she sources guidance from; she discusses new material and a return to Nashville; what advice she would provide artists emerging at the moment – Bailey recommends some current artists we need to get our ears around. Hi, Elles. How are you? How has your week been? It’s been good, thanks. I just got home from Nashville after recording my second record, so have a enjoyed a rare couple of days off in the even rarer British Sunshine! Well, hi. 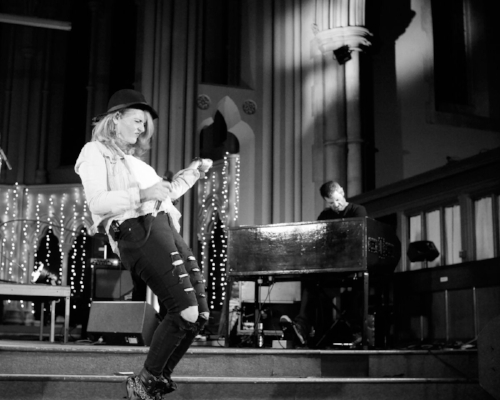 I’m Elles Bailey and, in a nutshell, I weave rootsy Blues, Country and soulful Rock! There is a video out for Same Flame. What is the story behind the song? What was it like shooting the video? Same Flame is about the passion and pain in love and how both emotions can sometimes feel the same. I got to make the video over in Spain in the desert as the sun was setting – it was pretty magical, although I don’t think I appreciated just how amazing the sunset was until I watched the video back after it was edited! Tell me about the special edition of Wildfire. What was the reason for bringing it out? Well. I had a whole load of acoustic songs that I had recorded that I really loved and had recorded some alternative versions of the album tracks; so it made sense to bring them all out at the same time on a Deluxe version of Wildfire. I had all the artwork redesigned as well to make it super-special. Have you been shocked by the huge love the album has received and how far it has gone?! As an artist, you do always hope that the music you create is loved by your fans but, honestly, I have been delighted at the response to the album from my fans and from the critics far and wide. I even had Metal magazines giving it glowing reviews, which totally shocked me! 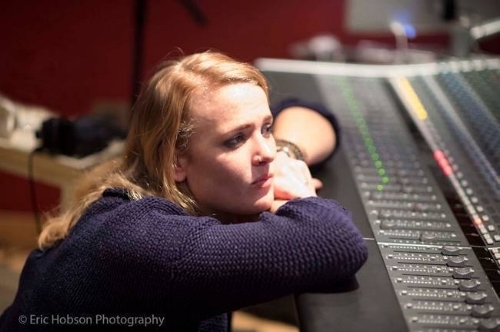 What was it like working and recording in Nashville? Is it very different to the sort of backdrops and studios you are used to? I feel really lucky to have worked in some incredible studios in the U.K. with some super-talented musicians; however, tracking in Nashville is the most mind-blowing experience. You have to make sure you savour every second as it goes by in a flash - the musicians there work so fast. It’s amazing that, even though they do this day in and day out, they are still so creative! Nashville definitely has a special place in my heart! You have been called a queen of the Blues and heralded by many. Has music always been a part of your life? What is it about music that attracted you in? I don’t know a life without music: it’s something I have always done and my life would be incomplete without it! Will there be more material later this year? Are you working in new stuff at the moment? I have literally just got back from Nashville, TN recording a brand new album that I am so excited to share with you soon! Watch this space for a release date! Which artists do you count as influences? I listen to such a broad range of music, so it’s hard to pick influences and I feel I’m inspired by so many. Right now, I’m loving Ryan Adams’ Heartbreaker; Anderson East’s Delilah; Chris Stapleton’s Traveller; Joe Cocker Mad Dogs & Englishmen (Live at Fillmore East) and John Prines' new record, Tree of Forgiveness. John is such an incredible songwriter! I am always on tour - I call it the ‘Never-ending road I call home’! You can find me touring the U.K. and Europe over the next six months with a big tour in October yet to be announced! Check out www.ellesbailey.com/tour for details of my dates! Another day off would be nice! However; to continue to build on the success of Wildfire would be amazing! Wow, that’s a hard question. I have so many amazing moments to look back on! However, I think the two days spent tracking this last record in Sound Emporium, Nashville last month will stay with me forever! I have never had so much fun in the studio! I would love to open for Mavis Staples. That would be a dream come true! Rider…as long as it’s got Haribo and red wine on it then I’m happy – but a hot meal for starving musicians always goes down well too! Wow. I’m so Rock and Roll! Try and be the best you can be. Work hard, then work harder; then work even harder and don’t give up! Yola Carter. She is the complete and utter real deal! Lady Nade, also, is an incredible soulful artist that you can find touring occasionally with me (smiles). Levon Helm – When I Go Away. I just love this song!